The Gospel Youth Sign with Rise/Velocity Records; On Tour With Seaway – Ouch That Hertz! (January 3rd, 2017) – We’re excited to share with you that our pals in The Gospel Youth have signed to Rise/Velocity Records and will be going into the studio with producer Romesh Dodangoda (Motorhead, Bring Me The Horizon, Twin Atlantic) in February/March, with plans to release a new album later this year. The pop rock band from England’s South Coast, will be touring the UK with Seaway and WSTR starting later this month. See the dates and ticket links below! In the meantime, The Gospel Youth has kept themselves busy with a 2016 single series, which saw them release 12 new singles across twelve months. Their latest and last video for “The Miles We Are Apart,” closed out their run in 2016. We’re happy to say that it wasn’t the end of the band and this recent signing is only the beginning for these lads! 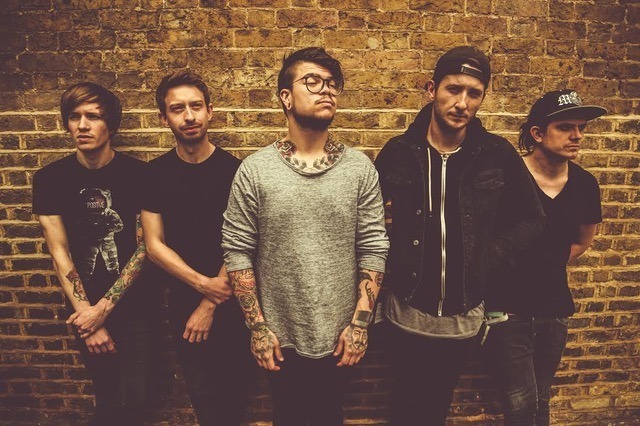 Formed in 2014, the five-piece has previously shared stages with the likes of We Are The Ocean, Mallory Knox, Deaf Havana, Hands Like Houses and many more. The Gospel Youth is Samuel Little, Julian Bowen, Kev Deverick, Tom Aylott & Kurtis Maiden.